Goverdhan Panchal Born at Chhatiarda village in N. Gujarat in the village and in Bombay. Studied painting at Santiniketan under Guru Nandalal Bose. Took part in the dance-dramas of Gurudev Rabindranath Tagore and travelled with his troupe in North and South India (1933-37). He began his career in Bombay as an art teacher. Then joined Bharatiya Vidya Bhava. Bombay, as theatre-in-charge. 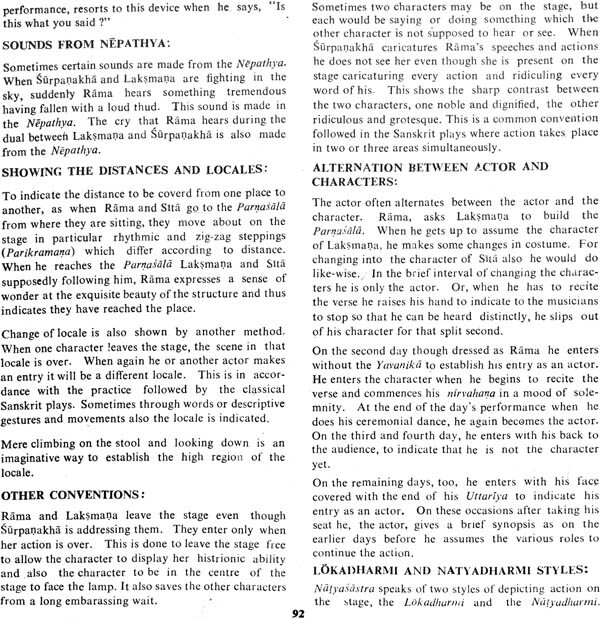 Designed settings and costumes for the performing art groups of the Bhavan and also for some dance-dramas of the Indian National Theatre, Bombay and other institutions. Produce some dance-dramas including, Jai Samnath and Bhagwan Buddha. Joined National School of Drama, New Delhi, as Asstt. Prof. For Scenic Design and Costume Design in 1959. Designed setting and costumes for some school productions and other institutions in Delhi. Retired in 1975. At Ahmedaba, designed sets for several theatre groups, for T.V. etc. 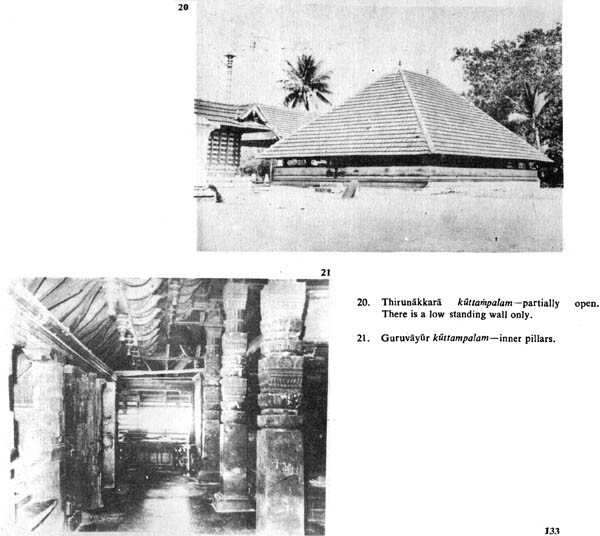 Before and after retirement, has spent many years in research of a pioneering nature of the kuttampalam, the temple theatre of Kerala. His theoretical re-construction of Bharat’s Natyamandapa based on his own research is well known About these the has read papers and lectured in the drama depts, of several Universities and many seminars. Recipient of senior Fellowship (1983-85) of the Cultural Dept., Govt. of India, for “Research in and Documentation of the Ancient and Medieval Theatres,” Recipient of the Gujarat State Sangeet Nritya Natya Akademi Award for his service to the Theatre (1982-83). 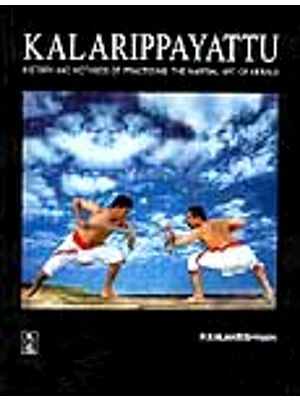 Has many articles on the Kuttampalam. 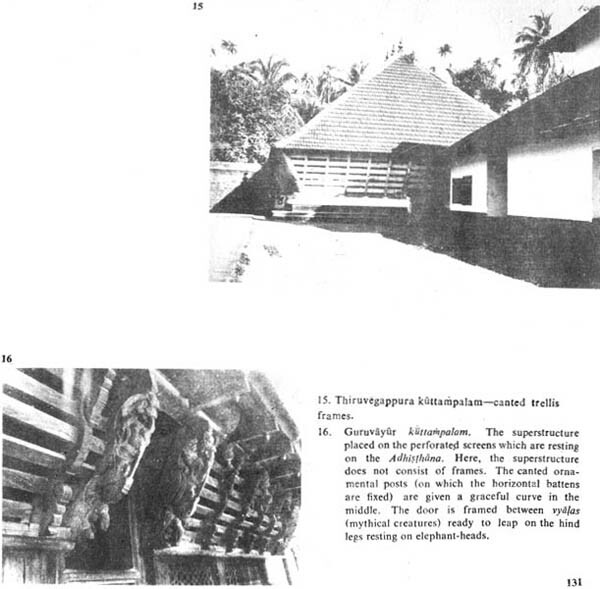 and the Kutiyattam reputed journals in English, H Hindi and Gujarati. 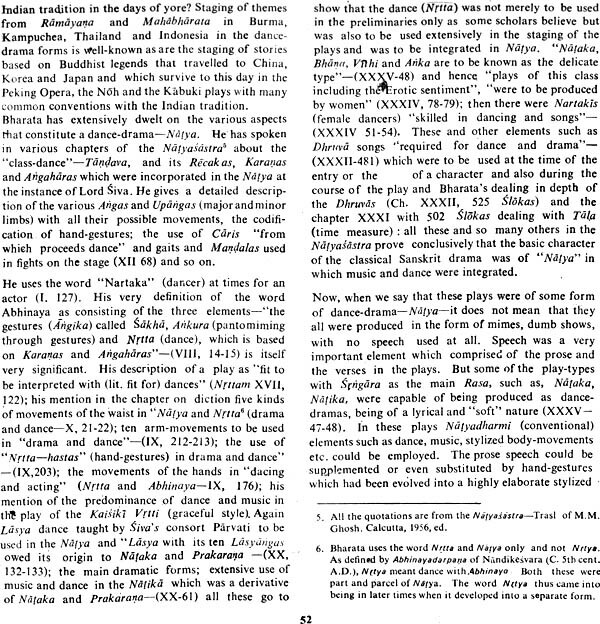 His books : Manipuri Nartan on the dance- drama of Manipur (1948); Ras ane Garba, a historical survey of the folk dances of Gujarat (l945) —both in Gujarati; Bhavai and its typical Aharya (on the costume, make up and props of' Bhavai) the traditional drama of Gujarat (1983); the Theatres 0f Bharata on re-construction of the theatre and the production technique of the Sanskrit drama (to be published). The Kutamralam in which the ancient Sanskrit plays are staged is the only traditional theatre still in existence in some parts of Kerala. 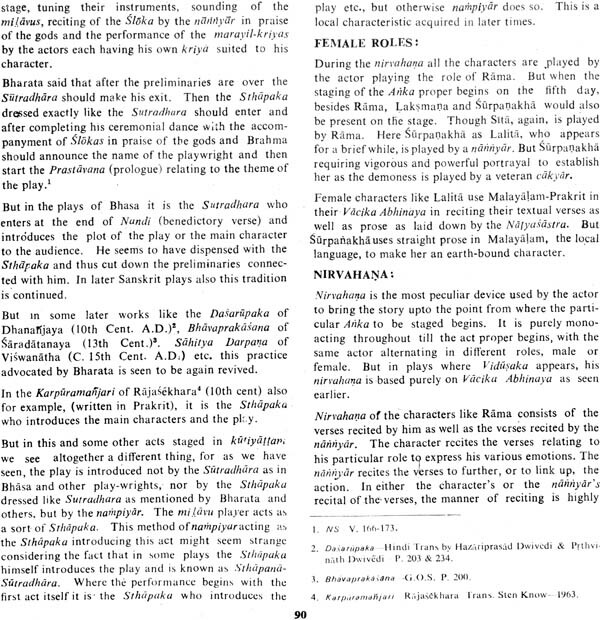 Its history, perhaps, goes back to a thousand years to the time when the royal dramatist Kulasékhara Varman wrote his plays-Tapati Samvarana and Subhadra-Dhananjaya. 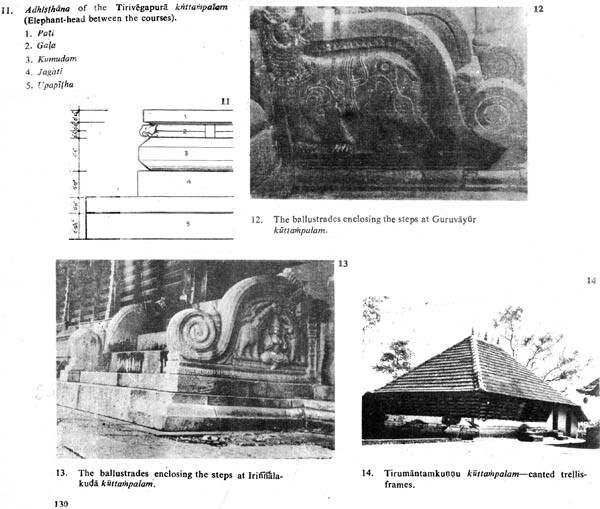 Because of several invasions of Kerala from the north and west, they too _ were destroyed and those that are standing today are mostly re-constructions carried out more or less on the same plans and the oldest may be of some centuries old. In many a detail and inspirit it appears to g be a direct descendant of Bharat`s Natyamandapa described in the second chapter of his Natyasastra and adapted to meet t-he regional demands. Here, these temple theatres are studied in their socio-cultural and historical context to put them in their proper environment and also to establish their trans-regional architectural links. Though each kuttampalam has its own individuality and personality, it also shares some common features with others. And the attempt, here, is made to show their difference and similarities which also help in understanding their construction and their ornamental details. This is done with the help of numerous drawings and photographs to elucidate each feature separately. One of the reasons for the author’s under— taking this pioneering study of these traditional H theatres is his hope that they will provide some suggestions for an alternative to the outmoded proscenium theatres which are even now built all over the country at an enormous cost and often rather badly. Within this cost a dozen and more theatres inspired by the kuttampalam could be built. In our socio-economic situation we cannot think of a better model, nor a more relevant one as it is born out of our own cultural milieu. All that we need is an open mind and imagination to adapt them. l. In order that I could speak to the students in the National School of Drama, New Delhi. With some authenticity, I considered the kuttampalam as a landmark in the historical development of the theatre not only in our own country, but also in the Asian context. It was my hope that the students would become aware of this. 2. 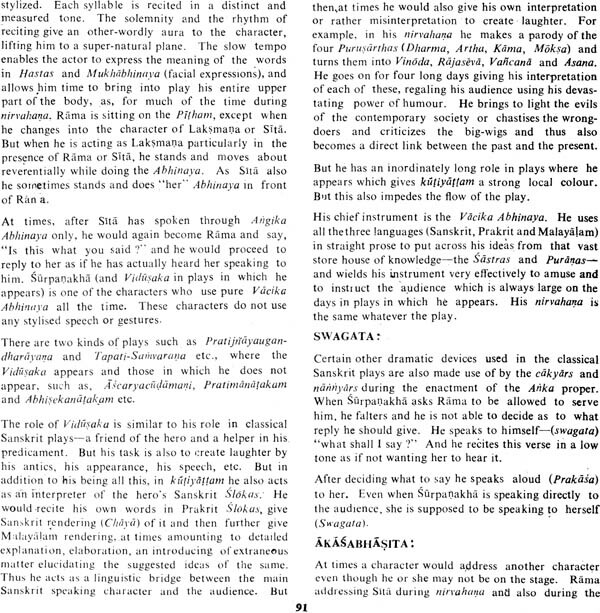 While teaching the classical Sanskrit theatre of Bharata, in the early sixties, l was vexed by the conflicting interpretations of Chapter-II of the Natyasastra describing the theatres, which were based on literary interpretations of the text. l had a feeling that the study of Kt?tfari•2pal`am might provide a few clues at least to some of the elements, which would help solve this problem. 3. I also felt that. the study of this temple theatre might provide an answer to the question of relevance of the traditional theatre in the country at _a moment when the search for a new theatre- form suited to our cultural, social and economic needs is slowly growing. In other words, p this particular theatre might provide a substitute for a new theatre form in place of the outdated proscenium theatre. During my first tour of Kerala in 1967, l could study only four kuttampalams, at the temples of Guruvayur, Vadakkunnathan (Trichur), Kudalamanickom Irinna- lakuda) and Subrahmanya (Haripad). Even this first preliminary study in l967 had partially fulfilled my first objective and also had made me aware that it could also provide an answer to my second objective. 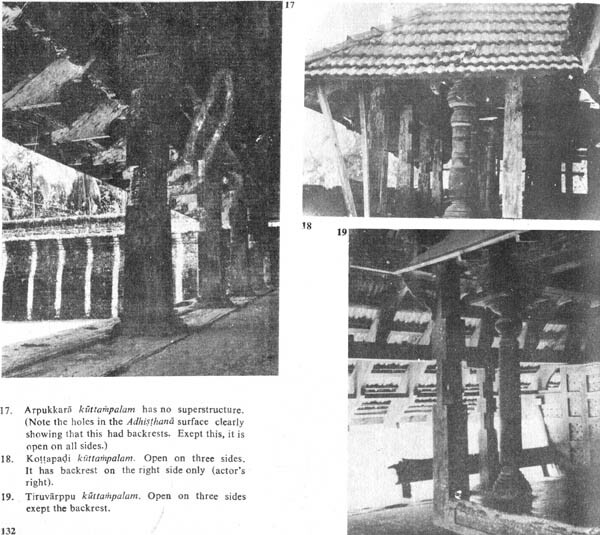 In 1974, I undertook an extensive and intensive tot: of Kerala and visited almost all the temples which had Kuttampalams and also several temples where the kuttu or the Kutiyatam were performed in their veliampalams—the halls to the let of the passage you enter the door in the trellis barricade surrounding the temples. As I moved from one theatre to another, doubt began to clear and generated a feeling that these theatres would definitely provide some clues to my second objective as well. I was convinced and never tired of repeating that the new Indian theatre must spring from our own tradition and thus the question of the relevance of the traditional theatre forms seemed irrelevant to me. These Forms reflect our tradition, our culture. And the new Indian drama must be based on this and not the imitations of Western drama. And I would also like to think that the answer to at least one type of the nee; closed theatre-form can be provided by the kuttampalam. 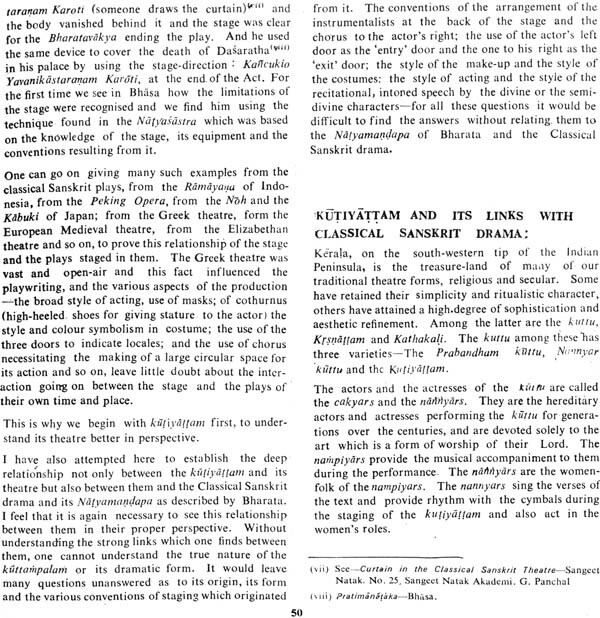 A theatre based on the, kuttampalam would be far more relevant to our artistic, social, cultural and economic needs than the proscenium theatres which are losing their relevance even in the west. Sensitive theatre minds had begun to reject the proscenium theatre in the west in the early decades this century. 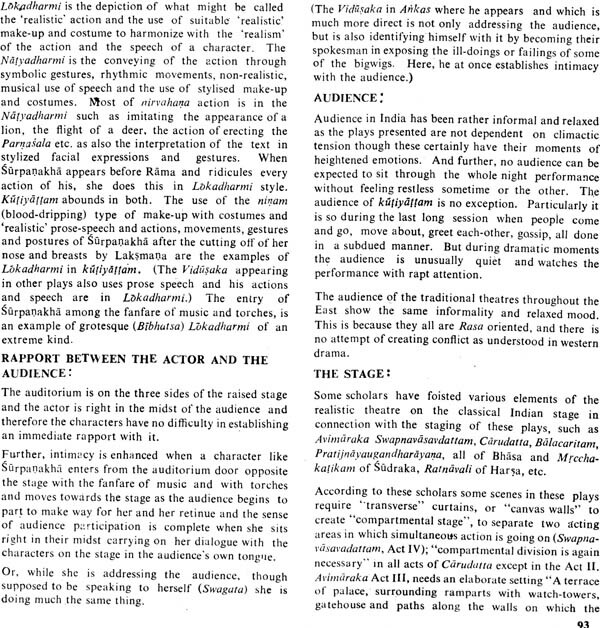 Men like Max Reinhardt, Jacques Copeau, Bertolt Brecht, Tyrone Guthrie and others were discarding the proscenium arch, which tended to divide the actor and the audience, reduce the actor to a two-dimensional cardboard figure, limit the scope of the playwright to the realistic form and single set drama, and deprived the audience of the lively presence of the three-dimentional actor in their midst. Speaking their minds and expressing their joys and sorrows thus establishing a close rapport with them. Economically, one well-equipped proscenium theatre, with its equipments of air-conditioning, sound and lighting, push-back chairs, piles of carpets, etc., costs enormous amounts these days. 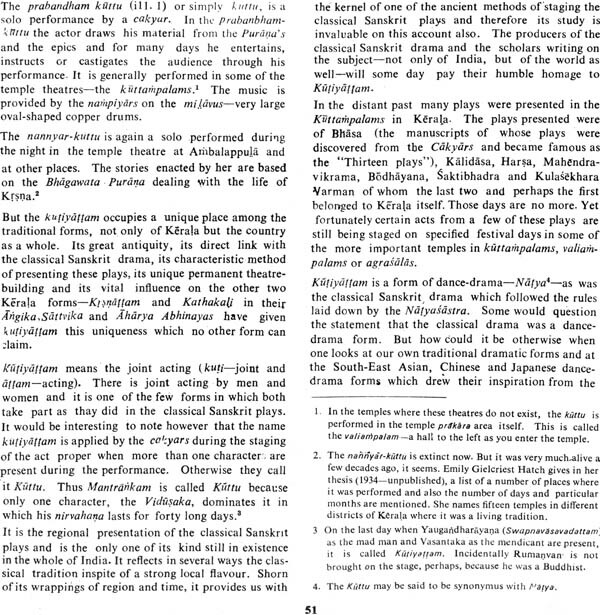 In the cost of one such theatre perhaps several kuttampalam—type theatres could be built. For, what is a theatre after all? The medieval Spanish playwright Lope de Vega said, "Give me four boards, four trestles, two actors and a passion.“’ This is the essence of the theatre, the theatre of the actor. For a good actor needs even less this as our traditional dramatic forms and their actors amply testify. What we need is an open mind that will shake off the servility to the west. Some of our playwrights are already doing that, some of our actors and producers are already seized of the matter. But have those who have the wherewithal to build new theatres realized this? Have the architects shown even a consciousness of this? There is hardly any evidence. They still condemn the actor and the play- u right to that outmoded 17th cent proscenium theatre. A theatre form is intimately related to the dramatic form which results form the given social requirements. This has been so through the ages in al! countries. Wherever I have watched a Kutiyattam performance in its natural habitat the kuttampalam, its impact on me as on other sensitive minds, has been tremendous. In the absence of each, the other looks like a maiden shorn of all her ornamental beauty—her very life. When I had first seen kuttampalam he mini theatre of the National School of Drama in New Delhi in 1964, 1 was greatly disappointed as were some others. 1 had seen the same thing happen during a kutiyattam performance staged for the pandits during the oriental conference in Delhi. My experience of the same during the Kalidas Samaroh at Ujjain in 1975 was not different. I realized how wrong it was to stage kutiyattam in theatre conditions shorn of its proper environment. The whole atmosphere was just not right. But when I saw it performed in 1967 and 1974 and 1975 in the theatre at Vadakkunnathan temple at Trichur, its impact each time was tremendous, in the dim glow of the nilavilakku-the bell-metal lamp, placed in front centre of the stage, Rama’s blue-green face framed in white cutty glistened with Subtle expressions, his eyes e roamed over the past events of his life, at times enlivened by the soft shimmer of his golden ornaments. His deep solemn voice. rose in chanting now and then above the silence of the night, enhanced by the sudden quietness of the milavu, which sometimes roared and the next moment murmurred a brief note like the ripples in the river Godavari, The whole atmosphere was surcharged with tense emotion and the same cakyar playing Rama and other roles cast a magic spell over the mind and one was carried away on the wings of the poetic acting to those ancient banks made sacred by the exiled (brothers and Sita. One saw Sita, watering the plants grown lovingly in the Patlcavati, plants as delicate as her own 1"rame One saw her adorning herself with the flowers which were her only ornaments In her valkala, bark garments, befitting the hermits and flowers adorning her gentle frame she looked like a maiden walking out of the parchment leaves of the ancient text of Ascaryacudamani even though Sita’s character was impersonated by a cakyar! Such is the magic of the environment. 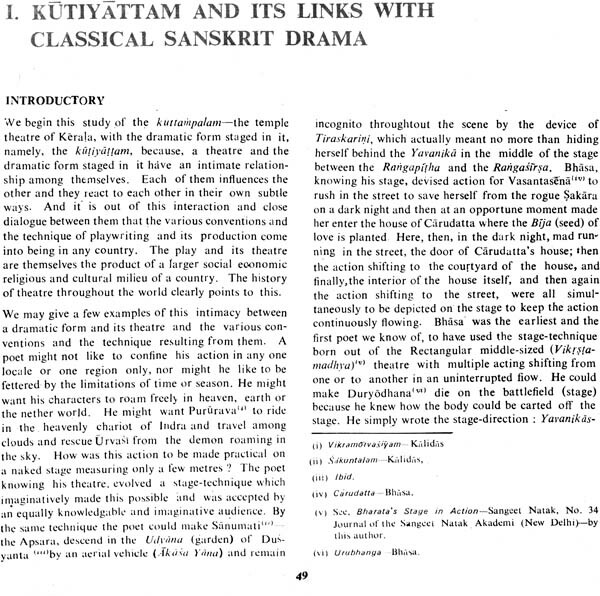 The kuttampalam is the descendant of the ancient classical theatre of Bharata, like its drama Kutiyattam. A descendent need not be an exact replica of its forerunner. It must reflect its own individual personality, in time and space, and yet reflect its ancient lineage. Does the culture of our country today not bear the stamp of our ancient heritage? It certainly does and yet we do not think or live in exactly the same way as our ancestors did. A theatre must reflect the new emerging drama of the present and the kuttampalam can easily be adapted to suit our times as it is nothing but a bare platform that would suit a presentational form of drama leaning heavily on imagination. If this study helps, even in a small measure, to stimulate the imagination of the theatre workers, theatre V planners and the institutions thinking of building new theatres, I would consider my labours amply rewarded.